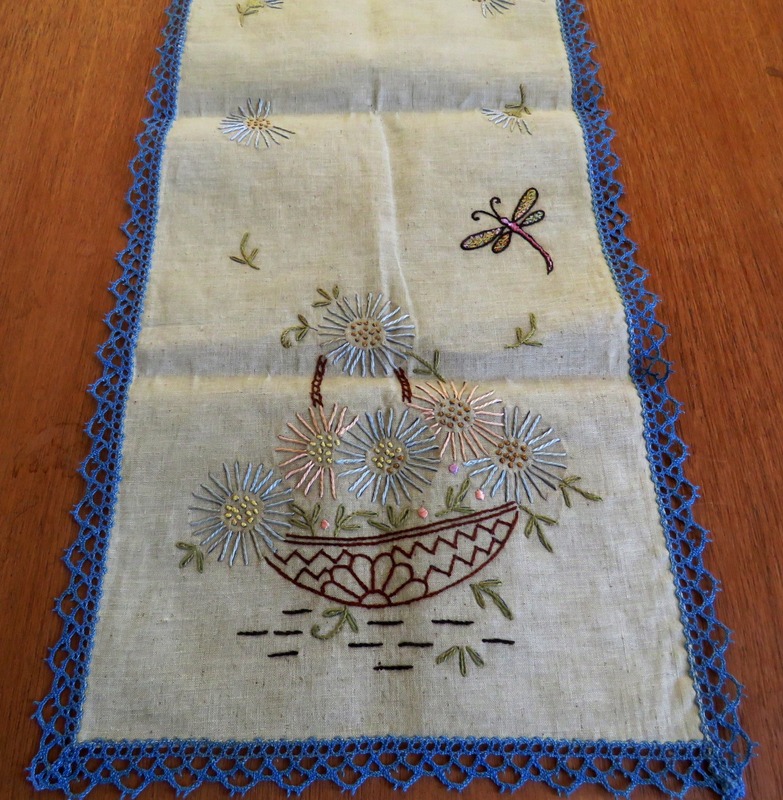 This antique vintage table runner features hand embroidered work. Antique Vintage Table Runner Measurements are: 41" x 13 1/2". Each end of the antique vintage table runner dresser scarf has an embroidered basket filled with a bouquet of open flowers with raised French knots centers. 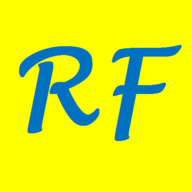 Then above the embroidered basket is an embroidered dragonfly with raised embroidered French knots. 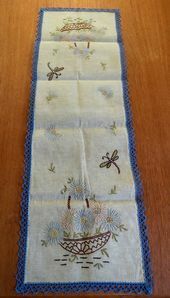 Along the sides of the antique vintage table runner are single embroidered flowers. The antique vintage table runner dresser scarf is unbleached linen, oatmeal color. It is a rougher linen and is still stiff to the touch. 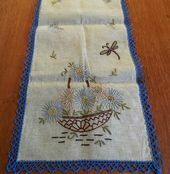 The antique vingage table runner may have been embroidered & then stored away.